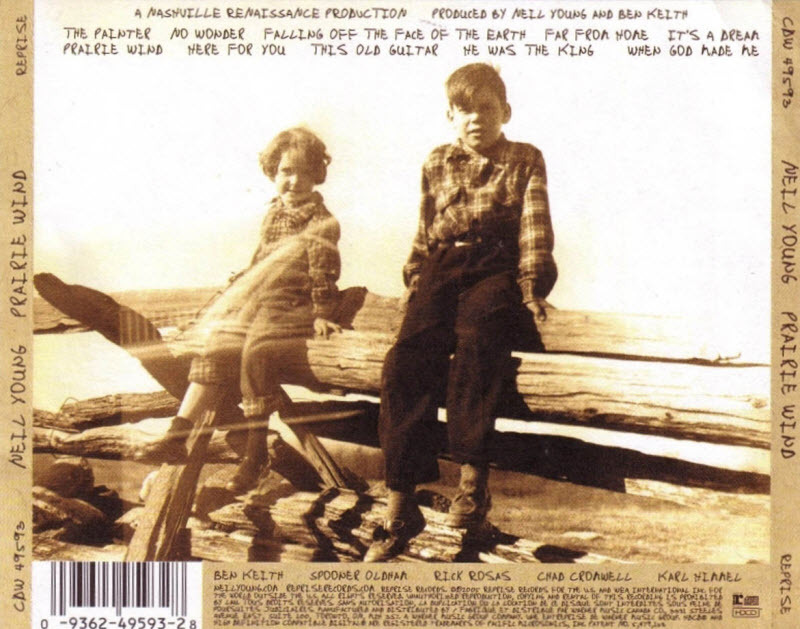 Since Prairie Wind is a return to the soft, lush country-rock sound of Harvest; since Neil Young suffered a brain aneurysm during its recording; since it finds the singer/songwriter reflecting on life and family in the wake of his father’s death; and since it’s his most cohesive album in a decade, it would seem that all these factors add up to a latter-day masterpiece for Young, but that’s not quite the case. 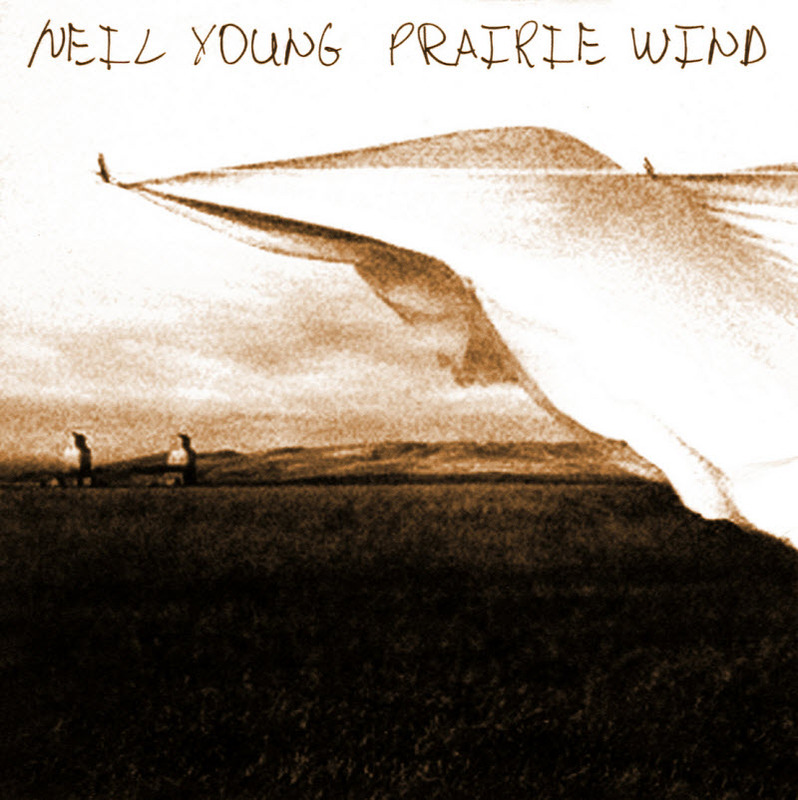 Prairie Wind is the twenty-seventh studio album by Canadian musician Neil Young, released in 2005. After recent dalliances with 60s soul music (Are You Passionate?) and rock opera (Greendale, which spawned a Young-directed film of the same name), Prairie Wind featured an acoustic-based sound reminiscent of his earlier commercially successful albums Harvest and Harvest Moon. The album was in part inspired by the illness and recent death of his father, Canadian sportswriter and novelist Scott Young, and the album is dedicated in part to the elder Young. Young recorded the album in Nashville before undergoing minimally invasive surgery for an aneurysm in the spring of 2005, and some of the songs on the album appear to be informed by Young confronting his own mortality. A premiere live performance of Prairie Wind was held in 18–19 August 2005 at the Ryman Auditorium in Nashville. Here, Young held a two-night concert where songs from the album were performed. These concerts became the subject of a film directed by Jonathan Demme entitled Heart of Gold. Young debuted the album’s closing track, “When God Made Me”, at the Live 8 concert in Barrie, Ontario, Canada. What binds the pieces of Prairie Wind together, however, are Young’s strikingly emotional lyrics, which arguably are the most revealing and intimate that he has penned since Tonight’s the Night. Indeed, throughout the set, he links together the past, the present, and the future by invoking many of the images and themes that long have surfaced within his work, but what’s different from many of his other outings is that, this time, the songs take on a greater resonance simply because of the context from which they sprang. Although there is a world-weary air of death, sadness, and mourning that hangs over the affair, there also are beacons of light that reflect within the hazy darkness of his fragmented memories. Full of bittersweet reflection, Prairie Wind finds Young bidding farewell to his Canadian homeland, his father, his family, his guitar, and Elvis, and the end result is a spiritual journey that encapsulates the fragile and fleeting nature of life itself.